Choosing a doula - where do I start? Choosing a doula – where do I start? So your thinking about getting a doula? But have no idea where to start? Read on… this post is for you…. Where to find a doula? Like all other services – here’s some ideas…. You can of course google too! You’d initiate contact by email, phone or for some, facebook messenger. It’s best if at this time you can let the doula know your estimated due date and any issues she should be aware of. How many should you meet? Some people find meeting up with 2-3 doulas is really helpful at clarifying what they want and what they don’t want. Others only need to meet one and they know it’s the right doula for them. There’s not a right or wrong way. I’d suggest getting in touch as soon as you’ve decided you want a doula. Good doulas book up quickly. They may also be juggling two or three enquiries at a time. Follow them on social media – what are they posting on their social media accounts/groups? Is what they are posting someone you like the sound of? Does it interest you? There’s normally an in person meeting with you and your partner (if applicable) – it should be clear that this is a two way ‘interview’ to ensure there’s a match of personalities both ways – a good doula will quickly realise if it’s a good match or not. I personally prefer having a quick telephone call before interview so that it saves you time and me time if it’s clear the match isn’t there. It’s normally very clear if we’re going to get on. And let’s face it, when you’re pregnant you don’t have lots of time or energy for meeting lots of people. Once out of the in person meeting, if you want to hire that doula (and have a good chat with your partner), you should let her know what your decision is or let her know if you are meeting others as that’s important too so she has an expectation (bearing in mind she might have other enquiries she’s fielding) of when she will hear from you. At that point, the doula will send you confirmation and give you details of how to book and will walk through with you the rest of her own process for working with clients. For me – I like to meet with clients at least twice, but ideally 4-5 times – that’s because I really want to get to know them. I normally schedule in a few birth coaching sessions (included in my package) so that by the time we get to the birth – I know them inside out, meaning I’m very aware of what might come up or be an issue so that we can navigate it. Connection – that is the connection that you feel to them when you meet – do you feel instantly comfortable? Do they put you at ease? Do you feel you could be vulnerable with them – telling them what your biggest worries are? Are you comfortable that they might see you naked? What are they like as a person? Do they make you smile? Laugh? Do they have any judgements? Are they interested in you? Do you feel that you would enjoy your time socially with them? Does what they say resonate with you? Do you share the same beliefs and values? Do they make you feel like you would be safe in their hands? Do you feel they are reliable and trustworthy? I really believe it’s feeling comfortable in that person’s company and I believe that there’s one doula for every person – it’s a very unique relationship. Don’t settle on a doula just because there’s no one else available – make sure it’s someone you (and your partner) bond with as they are going to see you at a time of massive transition and possible spend a lot of time with them in a tiny space. You need to ensure you are absolutely comfortable with that person. If you feel in any way uncomfortable or unsure, then choose another doula. Your partner – what do they feel about having a doula? Chat with them and make sure they’re on board before speaking to doulas as otherwise you’re in for a tricky conversation and you are wasting your time, your partners time and the doulas time. Backup – a doula is human and as such is vulnerable to something happening to them – as much as we all want to be super human – we can’t be. What is the arrangement? Are you happy to take the risk that they might not be there? Keep that very clear in your head and as one of your plans. It may mean you need to pay extra so bear that in mind – how important is it to you to have a doula there or only your doula there? Money – what are the fees… this should be clearly listed on their website or in their first email. One of the biggest things I hear about is money/fees and how it’s so expensive… having been a doula now for 2.5 years, I want to make it clear – the investment you make – you will gain in 5 million ways throughout the pregnancy, birth AND lifetime of you and your baby. There’s a massive stigma (that I don’t agree with) in the doula community about charging for what we do… you can read that more about that here. If you are genuninely not sure you can afford your doula – you can ask to pay in small instalments, ask your friends and family to contribute towards a doula as opposed to something else, or else apply for the Doula UK access fund (for a Doula UK doula). Decide if you can afford it before meeting your doula. Other skills – what else can they offer you? Do they have breastfeeding support skills? Hypnobirthing? I offer EFT in my birth coaching sessions to my mums and they find these sessions really helpful. I also offer Birth Trauma Recovery as this is vital when dealing with subsequent births. And I recently trained in Shiatsu for Birth (very excited about this). Loads of other doulas offer other skills. What is important to you and what would you find helpful? 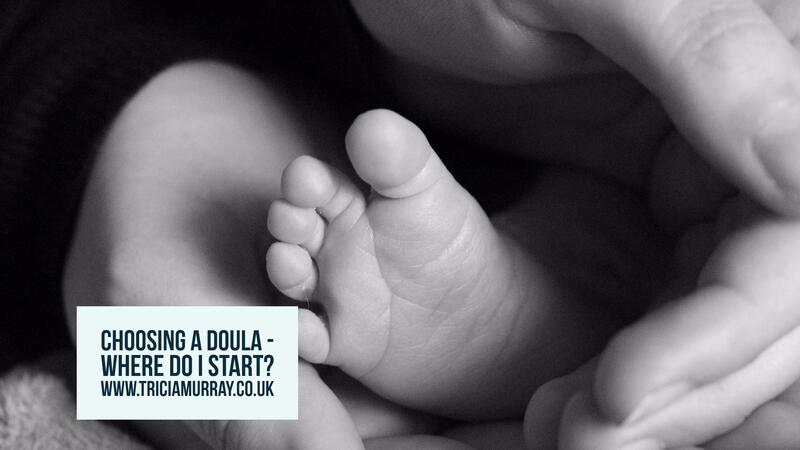 Being a doula is not a recognised profession, however, the closest thing we have to a professional body is Doula UK. Doula UK doulas adhere to a code of conduct and this might be something you want to consider that the doula you select is working in a specific way (this is not to say that those not registered with Doula UK are in any way substandard). And if you need a reminder on WHY you should have a Doula… check out the information on my webpage. If you have any questions about any of this, then do get in touch – I’d love to hear from you. Don’t forget, you can get FREE access to my Birth Plan Toolkit and Joyful Birth Worksheet when you sign up to my mailing list.